A man's body was found in the street in Capitol Heights, Maryland, Wednesday morning, officials say. 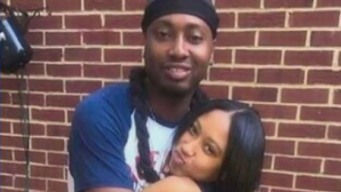 Christopher Jackson and his longtime girlfriend Shadella McDowney died early Sunday in Capitol Heights after their car crashed into a utility pole. Two years after businessman and Prince George's County community activist Gregory Hall died in a car crash in Capitol Heights, Maryland, the drunk driver who hit him was sentenced to prison. Two people were hurt when a car crashed into a Maryland baptist church Thursday afternoon. A large dog was loose in Prince George's County this morning before it was captured by animal control. It was so big, some people thought it was a wolf. Police have made an arrest in the Capitol Heights, Maryland, shooting that left two high school students dead and four other people injured. A game of dice may have led to the shooting that left two teenagers dead and four other people hurt Sunday in Capitol Heights, Maryland.